Walgreens was another company that increased its digital video ad spending on YouTube over the course of the year, from $12,000 in Q1 2015 to $88,000 in Q4 2015. Retailers are likely increasing their digital video ad spending because of YouTube’s newer shoppable ad models. In fact, Digiday reported that YouTube be is pushing retailers toward this new format, which was launched in 2015. 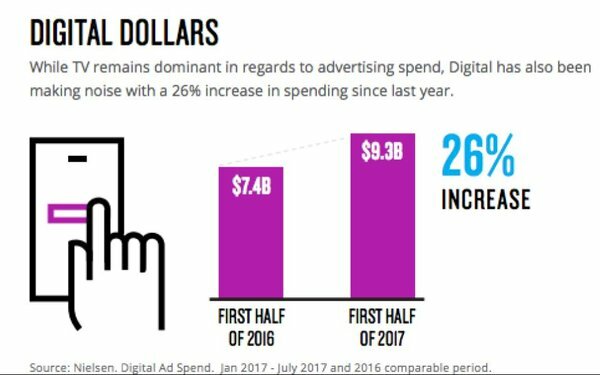 But not every brand is increasing its digital video ad spending. Lowe’s, The Home Depot, CVS and Amazon were among those that have decreased their spending. In fact, in Q1 2015, Amazon spent about $1,741,000 on digital video advertising on YouTube. In Q4 2015, the company spent $162,000. Growth in YouTube’s net US video ad revenues will drop to 6.2% in 2017, eMarketer estimates. During this time, YouTube’s share of the video ad market will also recede. These decreases reflect growing competition in the space as Facebook, Twitter, Yahoo, Vimeo and others push further into ad-supported video. However, even at a 17.7% share of total video ad revenues in 2017, YouTube will remain the biggest player in this area.